From the makers of the best selling PC phenomenon, PLAYERUNKNOWN'S BATTLEGROUNDS drops players into a competitive survival battle where you'll engage in a heart racing fight to be the last player left alive. Loot supplies, find weapons and gear up to take on the competition. Emerge the lone survivor in a thrilling game experience full of unexpected, adrenaline pumping moments. PLAYER UNKNOWNS BATTLEGROUNDS is a last one standing shooter being developed with community feedback. Game is unfinished and work in progress. Parachute onto a massive remote island with nothing but your wits and the clothes on your back. Defeat every player on the map to earn your bragging rights as the last player left standing. The Microsoft Playerunknowns Battlegrounds Game Preview Edition Xbox One Game was added to the Xbox One Games category in November 2017. 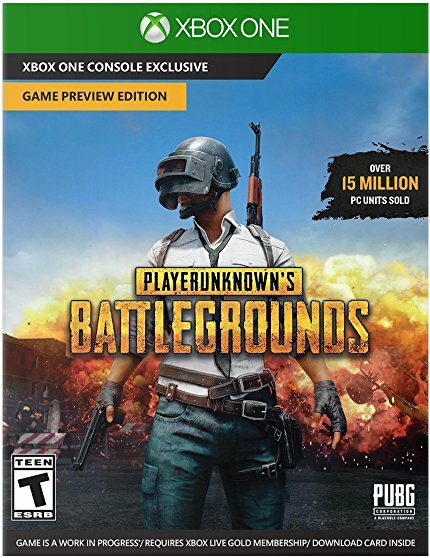 The lowest price GetPrice has found for the Microsoft Playerunknowns Battlegrounds Game Preview Edition Xbox One Game in Australia is $8.00 from Harvey Norman. Other merchants who stock it are Harvey Norman, Mighty Ape, Amazon AU.